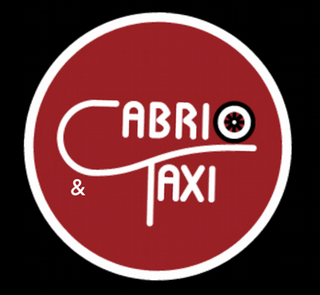 Cabrio Taxi is the premier pedicab company in San Francisco. Our pedicabs are rolling wi-fi hotspots and are the boldest, most stylish pedicabs, driven by the most professional drivers anywhere in the country. With Cabrio Taxi pedicabs, your brand will shine! With our drivers serving as your brand liaisons, your message will be remembered. Pedicabs or bicycle taxis, offer an outstanding mobile advertising platform that reaches numerous demographics throughout San Francisco. Are you are targeting conventioneers at the Moscone Center, fans at the Giants’ baseball game, shoppers at Union Square, tourists visiting Fishermen’s Wharf and Pier 39, or San Francisco/Bay Area residents attending a special event? If so, Cabrio Taxi will deliver your message in style. Beyond passive outdoor advertising, Cabrio Taxi offers innovative guerilla marketing and experiential marketing campaigns that provide measureable results. We can distribute collateral materials, deliver passengers to free sample distribution points / street teams and create more buzz than any other form of outdoor advertising. “Free Ride” campaigns create tremendous excitement and associate your brand with smiles. Pedicab passengers, pedestrians and automobile traffic will see your brand associated with an ecofriendly mode of free transportation, which leaves a lasting impression.